Looking at the intersection of law, business and technology. 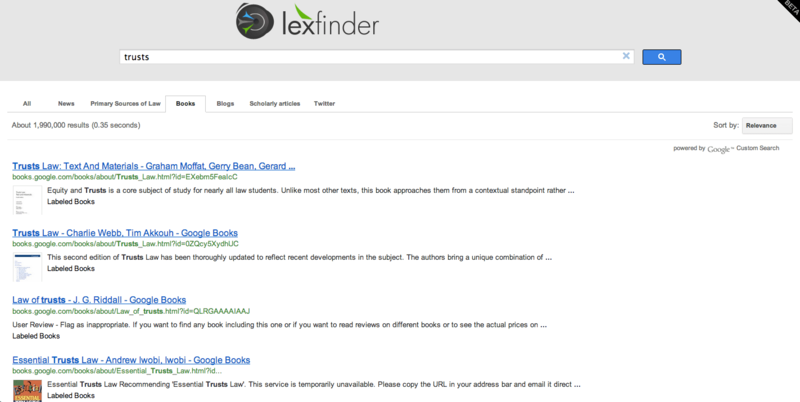 One of the projects I have worked on recently is Lexfinder, a free search engine for the anglophone legal web. Our aim is to build upon the many freely accessible legal resources, especially those spurred by the Free Access to Law Movement, by making these disparate sources easily accessible to lawyers and laypersons alike. Lexfinder is built upon Google’s back-end database and uses a series of filters to target queries to the most relevant resources, news, updates, commentary and primary sources of law. These filters are work in progress (hence the ‘beta’ tag) and will be continuously updated to improve accuracy. This entry was posted in Lawyers and Technology on 7 January 2013 by James Koessler. The new disclosure obligation regarding modern slavery: leveraging market forces to foster a race to the top? Is the proposed EU unitary patent system flawed? All views expressed on this blog are purely my own and are not endorsed by any group or organisation. The contents of this site do not constitute legal or other professional advice.